Respawn Entertainment says if the beta's gameplay isn't acceptable, don't buy the game "on faith". 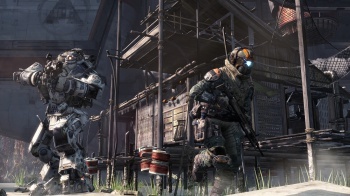 The reaction to Respawn Entertainment's Titanfall beta have been pretty positive, especially the fact that they have now opened it up for everyone and anyone to play. But, there is still a lot of rumblings in the forums, regarding server issues, ping problems, gameplay and more. In response to these complaints, Respawn designer "Scriptacus" urged people not to "buy the game on faith," but to try out the beta and form their own consensus on whether or not the game is worth it. "We're not asking you to buy the game on faith. Please try the beta, or to talk to people in your area who played it if you don't get in and make an informed decision based on that. There's nothing hidden; your ping to each data center will be listed right on the main menu. If the gameplay experience isn't acceptable don't buy the game, and be sure to let Respawn, EA and Microsoft know that you're not doing so and why." The designer added, in addressing complaints about the game's apparent lack-of-depth, "Give it time and I think you'll be surprised. There's a lot of depth to [Titan vs Titan combat] that might not be apparent at first glance. There are also missing weapons and abilities in the beta that really open things up in the full game. Winning 1v2 is quite possible once you develop the skills." As for the ping issues, Scriptacus simply stated that "As you're likely aware, with a high ping you might see yourself strafe around a corner, out of the line of fire, and still die an eighth of a second later." I think it's fantastic that Respawn are being so transparent with everything in this game's lead-up. It knows that it could probably sell the game on pedigre alone, but it is putting as much of itself out there so people can quite literally try before they buy. For the record, I've been having an absolute blast with the beta over the weekend, although I wish they would increase the player size, and decrease the wait time between rounds. How about you guys?